Manufacturer & Exporter of a wide range of products which include Hammer Type Pulverizers, Impact Pulverizers, Sifters used for grinding and sieving of spices for the Spices industry. It comprises of three functions in one i.e. Grinding and Transporting of Spices. It gives fine grinding of spices in powder form. Required degree of fineness can be achieved by changing the screen. The ground feed is automatically lifted from below the screen and carried to the bag suspended below exhaust. Installation: Very easy. No skilled labour required for operation. 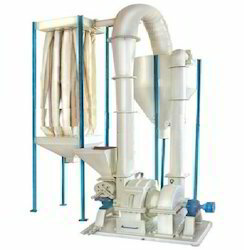 Finally it can be advantageously used for the grinding of:-Spices, Tobacco, Coffee, Soya beans etc. 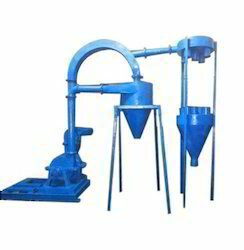 We manufacture and export quality Impact Pulverizer. These machines have easy yet heavy-duty intend and are prepared with the high-grade mechanism. These are also obtainable in a variety of technical specifications that can be modified as per the necessities of the customers. These pulverizes are operated, maintained effortlessly and fabricated from quality machinery.